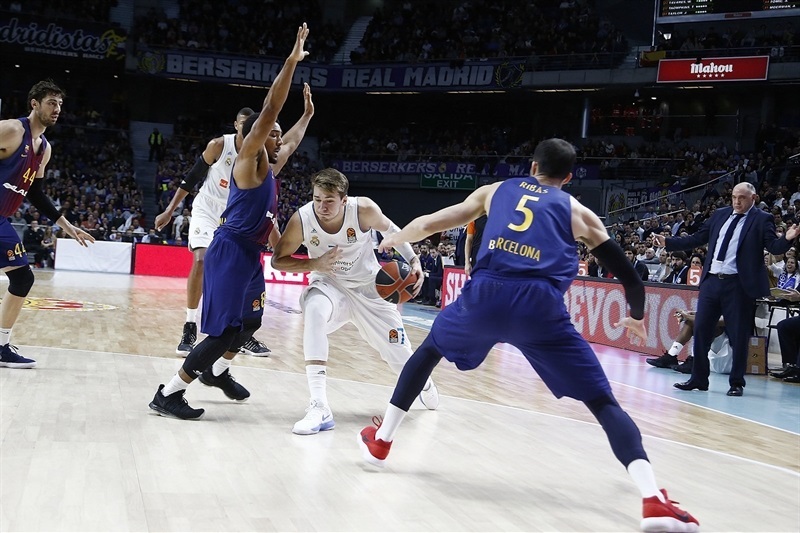 In a much-anticipated El Clasico in Turkish Airlines EuroLeague action, Real Madrid downed FC Barcelona Lassa 87-75 in the Spanish capital on Thursday. Madrid improved to 6-6 in the regular season standings, while Barcelona dropped to 4-8. 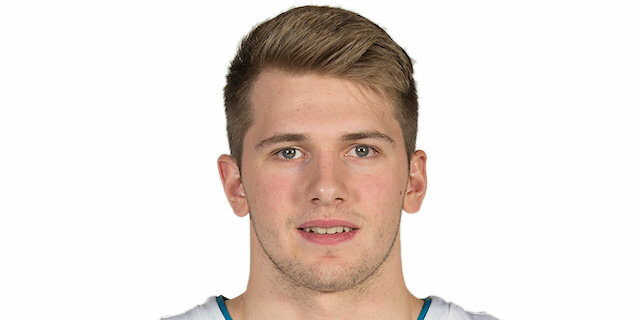 Luka Doncic led the winners with 16 points, 6 rebounds and 7 assists. 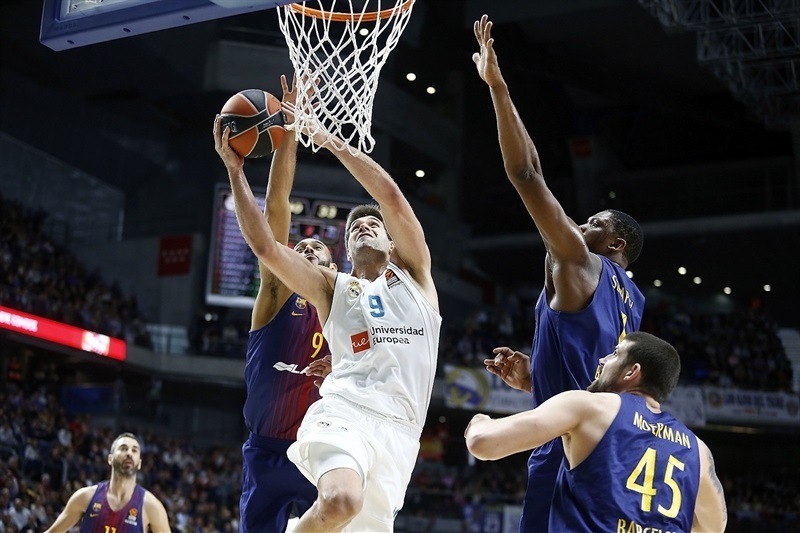 Felipe Reyes added 14 points and 8 rebounds, Trey Thompkins had 12 points while Facu Campazzo, Rudy Fernandez and Jaycee Carroll each got 10 for Madrid. 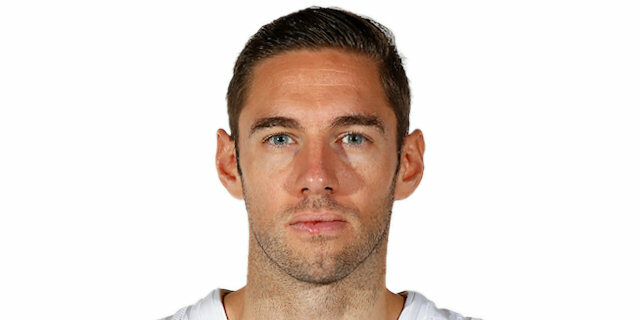 Ante Tomic led Barcelona with 12 points. Pierre Oriola and Thomas Heurtel each added 11 for the guests. It was 40-38 at halftime before Thompkins led a 0-8 run that made it a double-digit game, 48-38. 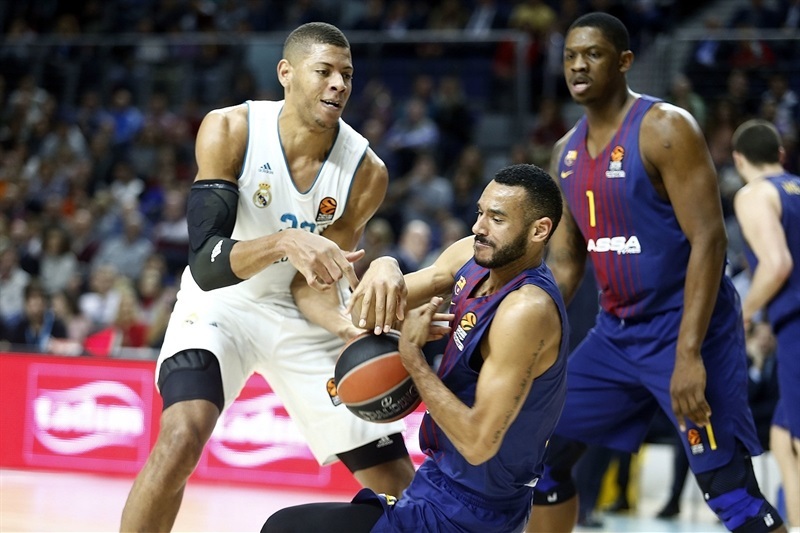 Barcelona kept struggling to score, while Jeffery Taylor, Thompkins and a 21-meter bomb from Doncic boosted Madrid's lead to 68-52 after 30 minutes and the hosts had cruised to a well-deserved win. 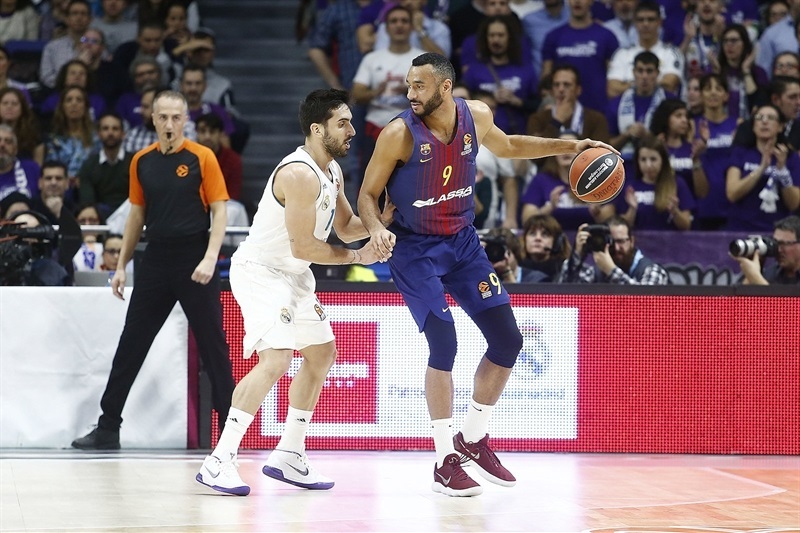 Adam Hanga got Barcelona going with a jump hook but Campazzo followed a triple with a jumper for a 5-2 Madrid lead. 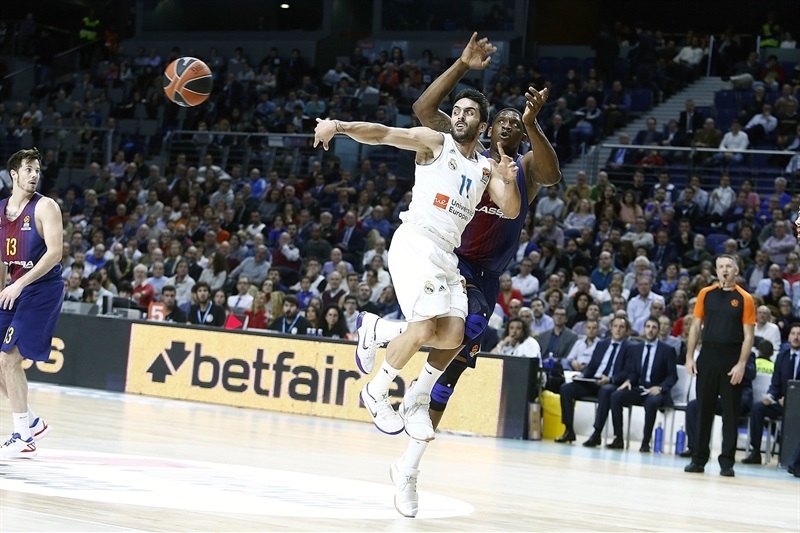 Campazzo struck again from downtown before Barcelona found a go-to guy in Seraphin, who hit back-to-back jumpers and added a jump hook to make it 10-8. 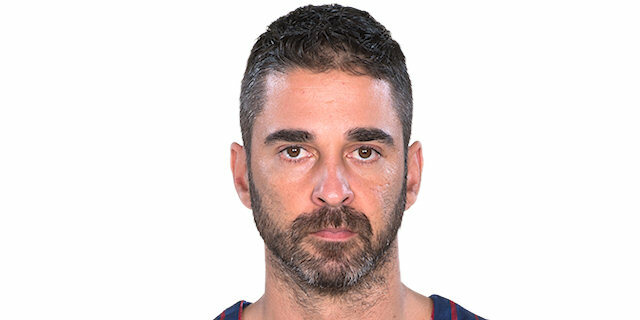 Oriola stepped up with a fast break layup, but free throws by Hanga, Fernandez, Pau Ribas, Doncic, Tomic and Reyes fixed the score at 15-15 after 10 minutes. Rakim Sanders and Carroll traded jumpers and a three-pointer by Ribas put the guests in charge, 17-20. Carroll stayed on fire with a triple and a turnaround jumper, igniting an 11-2 run which Reyes had 5 points, for a 28-22 lead. Tomic scored down low, but Doncic hit back-to-back three-pointers and Thompkins added another one from beyond the arc for a 37-28 margin. 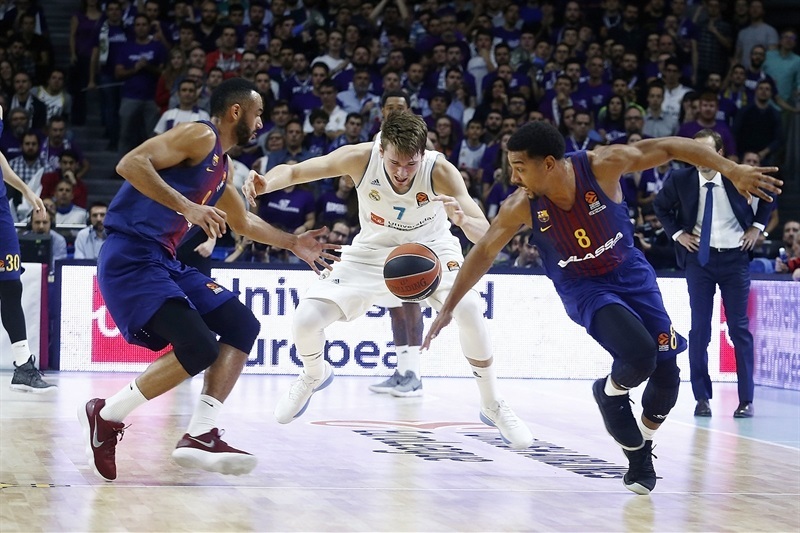 Heurtel joined the three-point shootout, Adrien Moerman dunked and free throws by Navarro brought Barcelona within 40-38 at halftime. 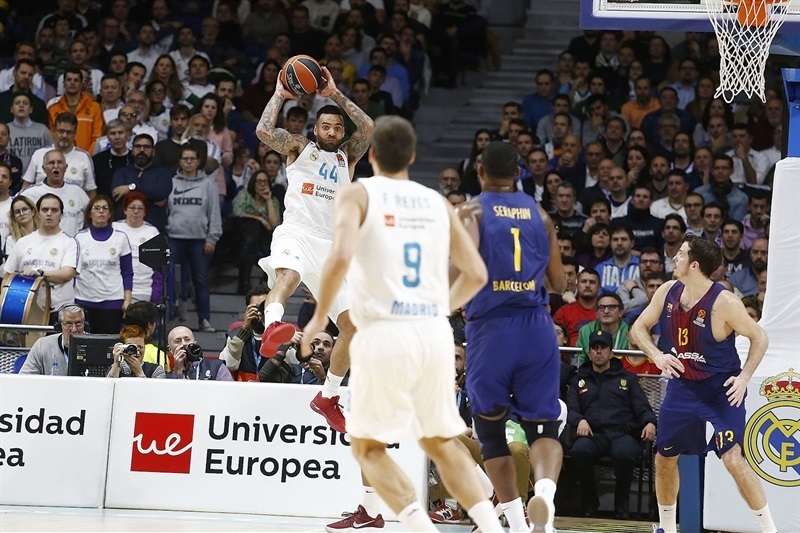 Thompkins followed a power layup with a triple in an 8-0 run that gave Madrid a double-digit lead, 48-38. Sanders rescued Barcelona with a driving basket and free throws by Moerman and Heurtel gave the guests hope at 51-44. 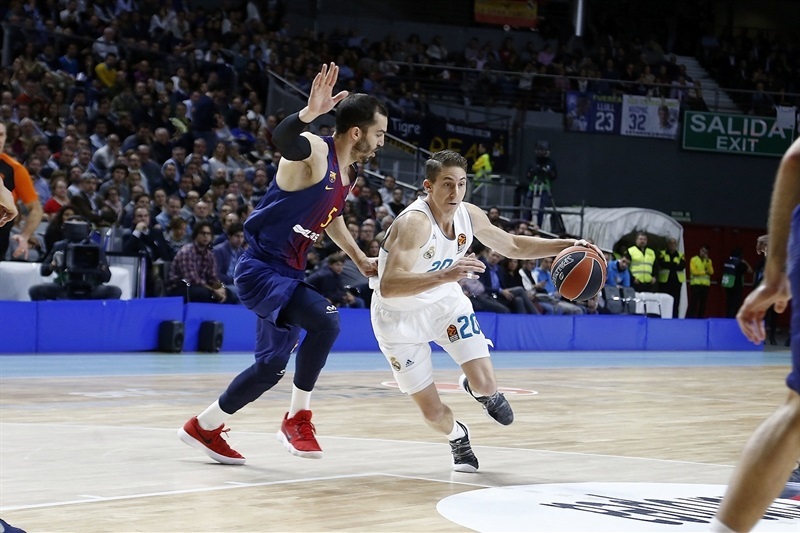 Madrid improved its defense while Thompkins kept pacing his team with a backdoor layup, Doncic added a jumper and Taylor hit a couple of a three-pointers for a 61-48 score. 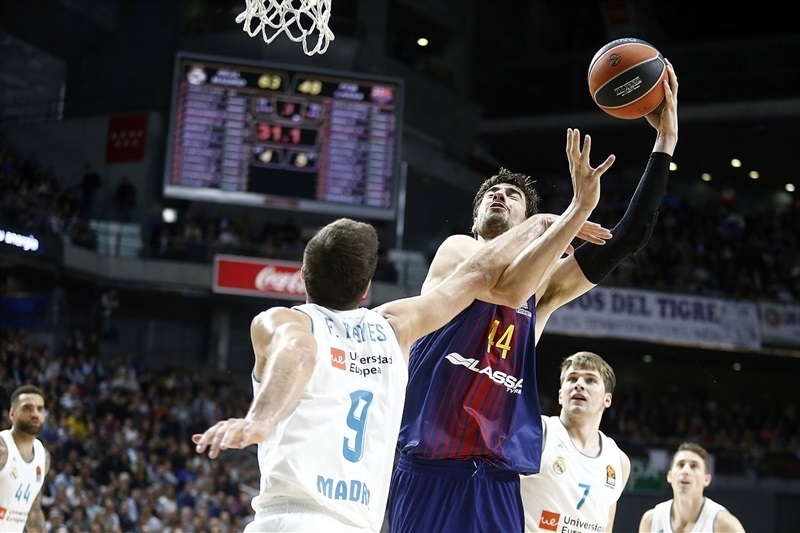 Reyes, Tomic and Carroll hit free throws and a wild, 21-meter bomb by Doncic gave Madrid a 68-52 margin after 30 minutes. 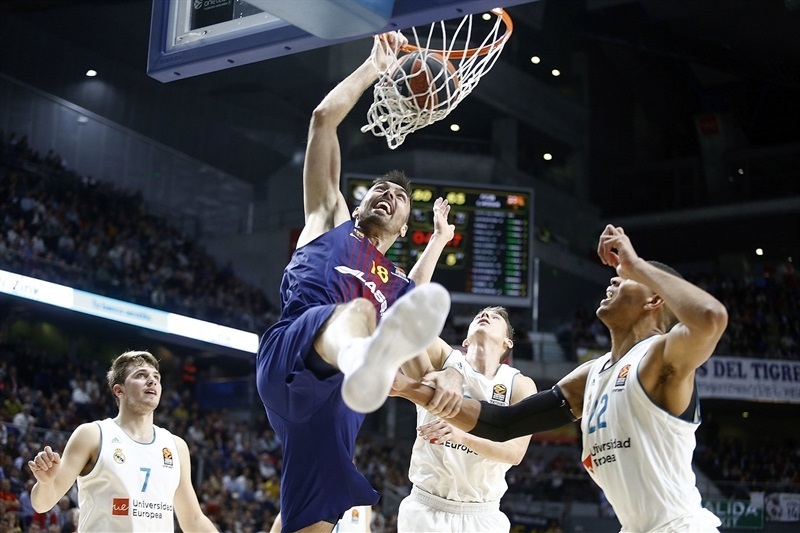 Doncic dunked early in the fourth quarter, but Fabien Causeur bettered Tomic's basket with a triple and Thompkins added a tip-in that seemed to seal the outcome, 75-54. 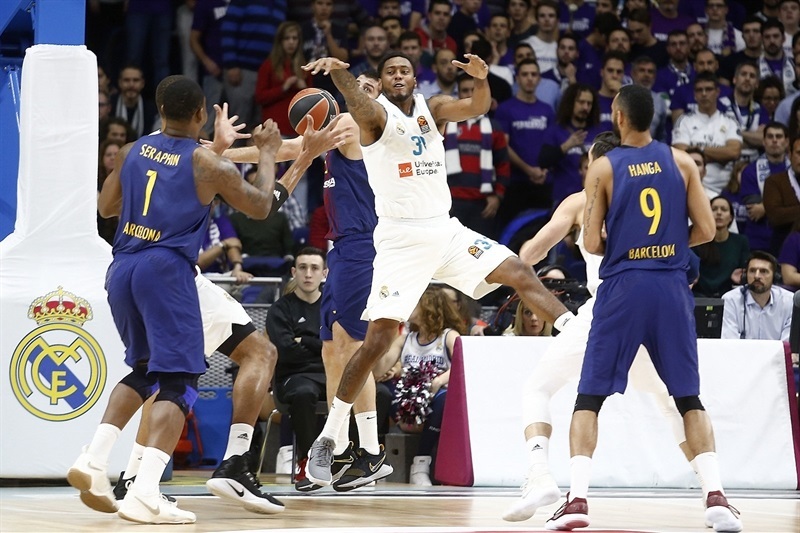 Phil Pressey led a 0-7 run, Navarro fed Hanga for a backdoor layup and hit free throws and Oriola took over with a dunk-and-foul and a bomb from downtown that gave the visitors hope at 80-71 with over four minutes left, but Madrid regained its composure to close out the win. "First of all, congratulations to my team for the victory. I believe we played a very solid game in general terms. I have the feeling that we were doing right on defense, allowing very few easy baskets, stopping their one-on-one situations, rebounding well and being solid on defense for almost all 40 minutes. We have the feeling that our defense carried us and that gave us confidence. Offensively, I think we moved the ball very well and had a lot of open shots off good reading and good situations. I don't think we played a brilliant game, but against a team like Barcelona, we had to be very solid and persistent. I am happy for the win and my team's work. We have to play three more difficult games before Christmas, two of them in the EuroLeague. Of course, wins make you feel better than losses, I am not revealing anything important. I was asked about El Clasico a lot, but in the end, it is just a game in a 30-game regular season. Still, it is a special game. In that sense, we had a good approach and the team is working in the right direction. No looking at the scoreboard, I have the feeling everyone was able to contribute in this game and in that sense, I am very proud of my players because they showed they are a team and that says good things about them. It is good to win - let's enjoy it today because we have work to do tomorrow. I don't think character makes you win games, but it is important to have an identity. My players know they play for a great team and always have to give their best. It is something which is not negotiable, and my team showed it. Each season, we go through difficult times - this season, even worse due to injuries - but the team always worked and never stopped believing, which is something to be proud of as a coach. As I always say, it is easy to ask for character, but you don't win games just with that." 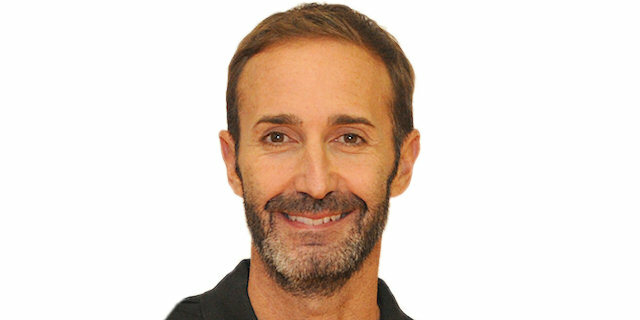 "I believe that the game's analysis is based on some parts of it, especially in the second quarter with five, six minutes left, Real Madrid found advantages in one-on-one situations that translated in a small lead before halftime, which we managed to cut with a couple of good minutes, with good defense. In the third quarter, we made things too easy, especially on outside shots, and they did well, also looking for those shots. I believe that we were slower than usual in second- and third-rotation situations and that helped them find these kind of shots and take a comfortable lead. 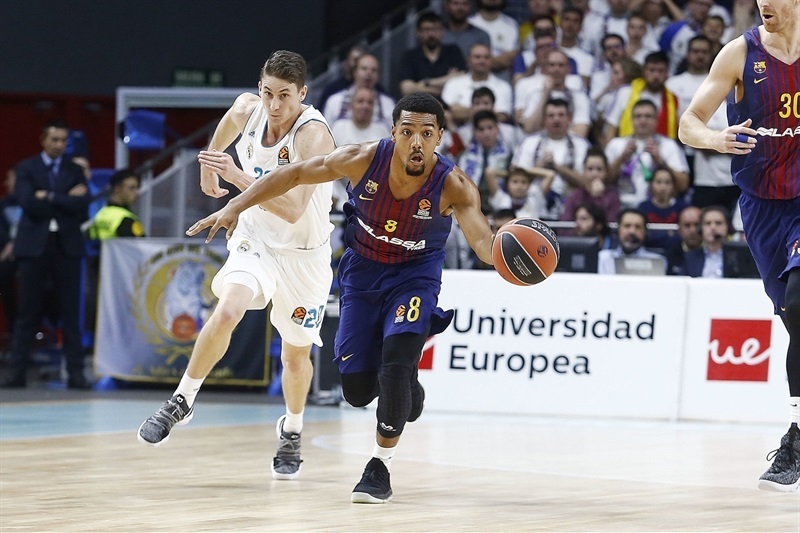 Playing in Madrid and with us in the foul penalty, it was hard to come back late in the third quarter. The team tried to return to the game in the fourth quarter and had a few moments to do that, especially when we were 9 points down. After that, Madrid played more comfortable, knowing it was dominating the game. Especially in the third quarter, when they found one-on-one situations and outside shots, that allowed them to get the lead. It is obvious that we didn't think about being two wins down the playoffs cut right now, not even after starting from scratch. We had some games which would have prevented us from being in this situation. What we have to do is have confidence in what we do and keep in mind what we have to do to get better, especially when we play on the road in the EuroLeague. We have to improve on that - on the road, we disconnect in some moments due to our own mistakes, we go down and not having the home-court advantage does not help you bounce back easily. We have to improve on that to be competitive in the EuroLeague, in which you need to win on the road." "Nobody arrived to the game tonight thinking it would be an easy one. It is always difficult and it was a must-win game for us to break of bad streak in the EuroLeague. We played a great game for all 40 minutes and I believe we played great defense, controlling the boards, which allowed us to run on offense. We didn't have many doubts - every game we lost, we competed until the end, with shots to win each of them other than the one in Vitoria. [Doncic] takes a lot of shots like that in practice. We bet on half-court shots before the game and truth to be told, he hits a lot of them. He is a good shooter even from that distance, but hitting it in a game was brutal, and it gave us confidence to lead by almost 20 points at the end of the third quarter. Everyone contributed on offense and that is very important. That shows that the team is playing well, sharing the ball. It is very important for us." "It was a tough game and we are happy to add another win. I had a lot of luck [with the 21-meter three-point shot]. I took the shot into our own three-point line and I was really lucky. In the end, you like basketball, you live it and that gives you strength. I only want to play basketball and this is where my strength comes from. I practice that kind of shot with Fabien [Causeur] and Facu [Campazzo], but you shoot just because - sometimes you hit it, but that's about it. In the end, a shot like this can sink you a little bit, but Barcelona rallied under the 10-point margin and we had to answer. Barcelona can always come back but we held on to the win. We just got started and there are a lot of games left. We are in December and have four months left. We just got started." "We had a bad start in the third quarter and against an opponent like Madrid, it is very difficult to erase your deficit. Our one-on-one options were not very good tonight. They hit a series of three-pointers in key moments and we didn't. They were better than us in the second half. We are now in a very tough situation. We must fight and work to recover from this and win our next game, at home in the Spanish League, which will not be easy because we don't have a lot of confidence right now. We are some wins under the playoffs cut in the EuroLeague and have less time to bounce back."